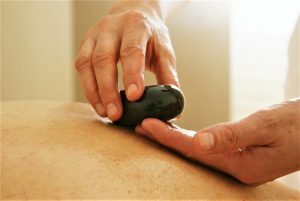 Aromatherapy massage uses essential oils from healing plants, flowers, trees, fruits, barks, grasses and seeds. During an aromatherapy massage, the client inhales these essential oils or absorb them through the skin. Clinical massage incorporates a large scope of modalities such as myofascial release, acupressure, lymphatic drainage, Swedish massage and so on. 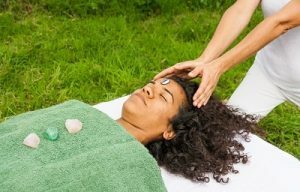 The aim of crystal therapy is to help to restore balance in the chakra cystem. When the chakra system is balanced, the physical body is able to innately self-correct and heal. Deep tissue massage uses slower, more forceful strokes to target the deeper layers of the muscle and connective tissue to help with muscle damage from injuries. 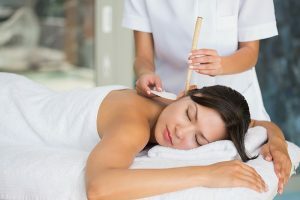 Hopi ear candling involves gently placing long hollow ‘candles’ into the ear canal to stimulate the ear with warm and cold air and facilitate the removal of excess wax and impurities. 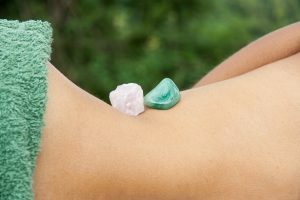 During hot stone massage, water-treated stones are placed at specific sites on the client’s body to promote relaxation and to help open up the meridians (energy pathways). 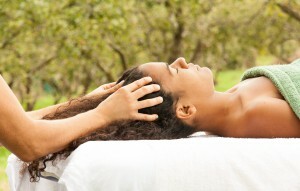 Indian head massage is a gentle massage of the shoulders, neck, head and face using a range of massage techniques. 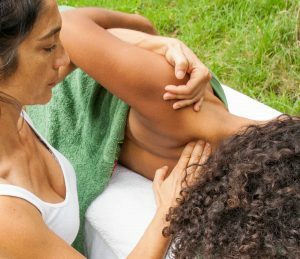 Integrative Medical Massage is the culmination of multiple bodywork techniques that help relieve secondary symptoms of chronic pain. Myofascial release is a gentle therapy, consisting of a mixture of light stretching and massage work. Oncology massage is an adaptation or adjustment to the normal massage and serves to accommodate the delicate situation the cancer patients experience along the cancer journey. Pregnancy massage is an adapted treatment for the comfort of the client’s growing tummy and physiological changes, i.e. heartburn, sciatica, pelvic discomfort, nasal congestion and upper and lower back tension. Reiki therapy is a type of spiritual practise used to treat physical, mental and emotional illnesses. 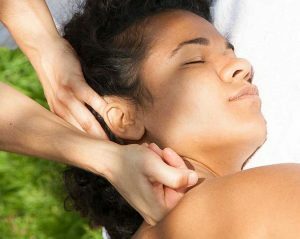 Remedial massage therapy is a hands-on technique that gently massages the muscle tissue. Sports massage involves manipulation of soft tissue and is mainly geared toward people involved in sports activities. Swedish massage uses long strokes, kneading, circular movements, vibration and tapping to help relax and energise. TMJ massage can be an effective treatment form to reduce the symptoms of TMD and other issues. Trigger point therapy uses a mixture of stretching and physical pressure to loosen up the tight muscles and alleviate pain.